Digit Geek > Recent Articles > Science > Do trees cause global warming? The meat eaters were right after all – even trees emit methane! 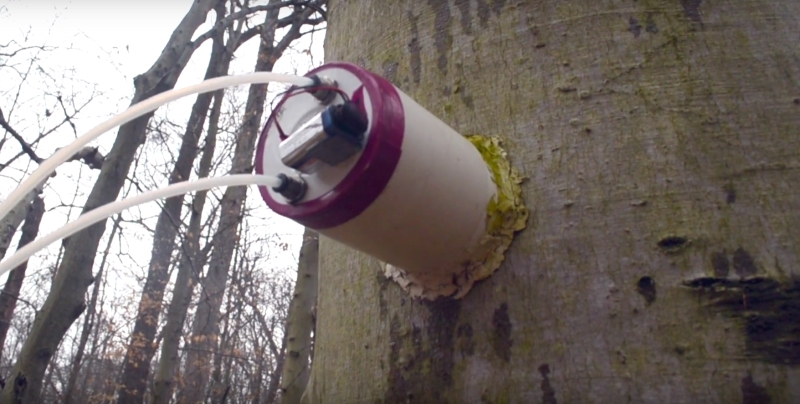 In a surprising turn of events, researchers from the University of Delaware (UD) found that tree trunks in upland forests emit methane rather than soak it up. Researcher Daniel Warner, a PhD candidate at the Water Science & Policy program at UD, set out to find out whether forests act as sources of methane or sinks (places where methane and other greenhouse gasses are trapped). He found that although tree trunks individually emit small quantities of methane, as a whole forests do still take away methane from the environment. Oh well, put those chainsaws down boys, looks like we’re not deforesting just yet. So trees don’t cause global warming??? Perhaps the best way to answer that is to say we just don’t know. Researchers are still unsure how or why the trees are producing methane. There are a few theories: One theory suggests that the methane is coming from rotting bark on the tree trunk. Another says that the methane is produced in the soil and transported internally up the tree’s vascular system to the trunk and is then eventually released into the atmosphere. Thanks to methane consuming bacteria, upland forest soil usually traps methane, but trees might be releasing that back into the atmosphere – at least some of it anyway. Is the methane emission from trees significant? The research is critical to our understanding the naturally occurring sources of greenhouse gasses, and shows us exactly how complex a task this is because of how varied our biosphere is. It’s not like there’s just one number we can throw out and say “Forests emit X amount of methane”, because every tree species is different. Of the tree species studied, it was found that some were consistent emitters of methane (eg F. grandifolia) while some did so intermittently (eg A. rubrum). Currently the results have been derived from studying only a small section of the nearby Maryland forest. Researchers plan to expand the coverage area and types of trees studied soon. They will also check whether the emission footprint is large enough to significantly impact known global methane models. The bottom line, however, is that assumptions about trees being all “green” without exception might not be totally accurate. The paper was published in the journal Ecosystems.